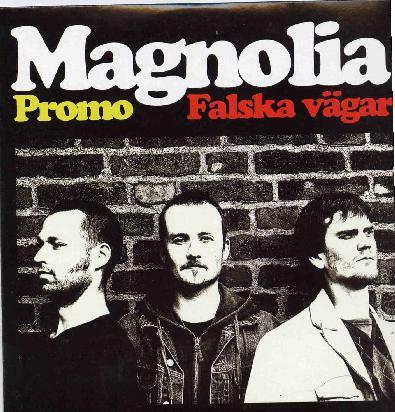 Magnolia are very 70’s inspired and sounding Swedish hard rock band. This is the bands second record out on Transubstans and it rocks! To make the bands music more authentic, live, it was recorded in the analog studio of Love Tholin. The band sings all their songs in Swedish and this gives it an extra special feel. The 3 piece really get down to business with the opening track, I-Land Blues, which has a simple but effective heavy blues riff. A great melodic middle section but not guitar solos, yet... Dröm dig Iväg is an uptempo and melodic track with some nice bass lines and a bit of a spacey feel at times (helped by the additional whispering backing vocal of Eva). Mark really rips it up on the guitar on this one. Tag dig sjåalv I Kragen is a foot stomper with a nice bluesy guitar. This reminds me of November. Mammons Vägar is a really great song and a bit like Cream for sure. Kung Bore is one of the longest tracks at nearly 6 minutes and has a great riff and groove. Cool stuff. Våagskäl has a distorted and heavy bass line and really hard hitting. Där Hemma is more laid back and spacey and features some nice acoustic instruments and violin and a nice change. Den tiden är Förbi brings back the heavy blues riffs and some nice guitar. The order is actually wrong on the CD and promo sheet and this track is listed after Säg mig Hur, which is actually track 9. Säg is a melodic track with a nice groove and very melodic guitar lines. The CD ends with Förbanned Igen and makes you feel like you burst right into the middle of a big jam! A great track to end the CD with. I just wish there was more guitar solos on this record as Mark is really good and soloed more on the last CD. Excellent second CD by this Swedish band. If you are into classic 70’s rock and especially the band November and Abramis Brama, you will dig what these guys are doing.